You can lift a 500 lb block with one hand and move it around with one finger… You can fly and float around instead of walking… you can do somersaults at any age… and you can play with your food. As I have said before, everything is effortless. If you want to move forward you slightly touch a wall or any other solid object with one finger and you start moving in the opposite direction of the force you applied. People are blocking your way in the hallway, no worries, you flip to the ceiling and just like Spiderman crawl the ceiling over their head using the bar handles on the walls (of course you cannot crawl but it looks like you are crawling). In space it is okay to play with your food. The astronauts and cosmonauts all do. The cheese puffs are not put into the mouth by hand, they are slightly jolted out of the container and flown to your mouth. When you open a bag of soft food like yogurt or soup, if you are not really really careful, small yogurt bubbles or soup bubbles start floating around and then you can catch them with your spoon. But if you try to catch them too fast, one bubble hits your spoon and becomes 10 smaller bubbles and now you have to catch ten of them! I truly enjoy weightlessness… You feel like a free spirit. I remember when I was very young, for a long period of time I had this constant dream that, to the amazement of my family, I was floating from one room to the next in our house and I was amazed at my ability to do that. Of course, in my dream, I was expert at it and I was able to float around with my will power and not by touching things around me. So now keeping this in mind, today when you are working, imagine there is no gravity so not only are you floating, everything around you is floating too. Can you imagine that? You are sitting at your computer typing…. well… you can’t sit because nothing will keep you in your seat, unless you strap yourself down to a chair that is bolted to the floor… So since you cannot sit, let’s stand… well, you cannot stand still either because every key stroke pushes you further form the keyboard. So what do people do in space when they want to stay in one place and do something? They use their feet to secure themselves. They stick their feet under these bars that are all over the place or find something to anchor their feet. That is why, the first day I arrived on the station, Pasha gave me these soft Eskimo lamb skin boots… I didn’t know why and did not wear them. Then at night when I went to bed, I noticed that the top of my feet had small bruises and hurt a little. In space you learn to use your toes well. I don’t think I ever paid any attention to them on Earth, but up here, your big toe is a powerful tool to hold you in place. So basically everything you own should have Velcro attached to it. There are bags of Velcro strips with different shapes and colors up here and they are used all over the place. You just have to remember that if you let anything go, it does not stay in the same place and that makes performing tasks a little more challenging up here. Wow..your description is very vivid ;)..it just feels we are on a space station along with you …keep blogging from above..
Velcro seems a godsend for space tourists ..are you able to good sleep up there ? Love to read your memos!!! U r so cute and pleasant. U sound like u r so KHAKI, don’t ever change. Thank you for sharing your experiences with my students and me. It has been a wonderful experience for all of us! It is so amazing to read your posts. You know when I was a little girl I used to dream this way. Infact I dream it now too in my thirtees. When I am sleeping in night I dream that I am flying / or going up to the ceiling of my bedroom and I can not come down by myself. I think I feel the weightlessness in my dream. I can truly understand how you feel. Enjoy your stay up there..
I’ve tried thinking about weightlessness over here, and I got dizzy. Weightlessness was so amazing for us when we where young readers of Tintin… And still is it. An you have experienced it! amazing experience – i’m so glad that you are getting to enjoy this. thanks for recording your thoughts about this – have fun for the rest of your time! hope you are doing fine. maybe you can not even imagine how great it is for me to read your blog, and how good you share your feelings. i found you weblog address today and i’ve been reading it till early in the morning and ignored all my classes. all my roommates have seen me so motivated today.i’ve learned lots of things from ya, learned how to live my dreams and how to make’em come true. i do not know wheather u reply the comments or not, but if you do it for me, it would be the greatest email i’ve ever recieved. and finally one resuest,…please pray up there. pray for the peace of the world. for happiness of all the people no matter where they live. I hope ya great great moments. Weightlessness, floating, all very fascinating indeed. You are really giving us a clear image of up there. Great job Anousha.Thank you again. I am looking forward to know about your trip back to earth. Have a great time in space and enjoy as much as you can. هر بار که نوشته هاتونو میخونم خیلی هیجان زده میشم. فقط میتونم بگم خوش به حالتون. لطفا عکس های بیشتری تو سایتتون بزارین. I love the vivid descriptions you have posted, makes me feel as though I am there experiencing your gravity-free environment. Mashallah your accomplishments make us proud. Pray for world peace while you’re up there it’s probably a local call, rather than a long distance one ;-). It looks all so easy when you see those cosmonauts and astronauts move on tv, but of course it’s not. I’m taking great joy in reading your stories. I wanted to look up to see ISS when it passed over Holland, but unfortunately it is clouded here the last three days. Make the most of your last day in space, and have a safe return to Planet Earth. Hope to hear from you again somewhere! You are doing an amazing job with this blog! I’ve been involved with the theme of manned spaceflight as a hobby (passion?) for more than 25 years, read a lot of books, saw Shuttle’s and Soyuzi take off, spoken to numerous astronauts and cosmonauts. But only reading your blog entries do I really get a taste of what it is like to be in space. Your honousty and attention to small details paint a very lively picture of live in weightlessness. I never came accross this in anyone else’s stories about space. You are turning out to be TRUE Space Ambassador and I hope you will be able to continue sharing your space adventure long after your return from orbit. It would be a true inspiration to meet you if your travels take you to Europe some day. 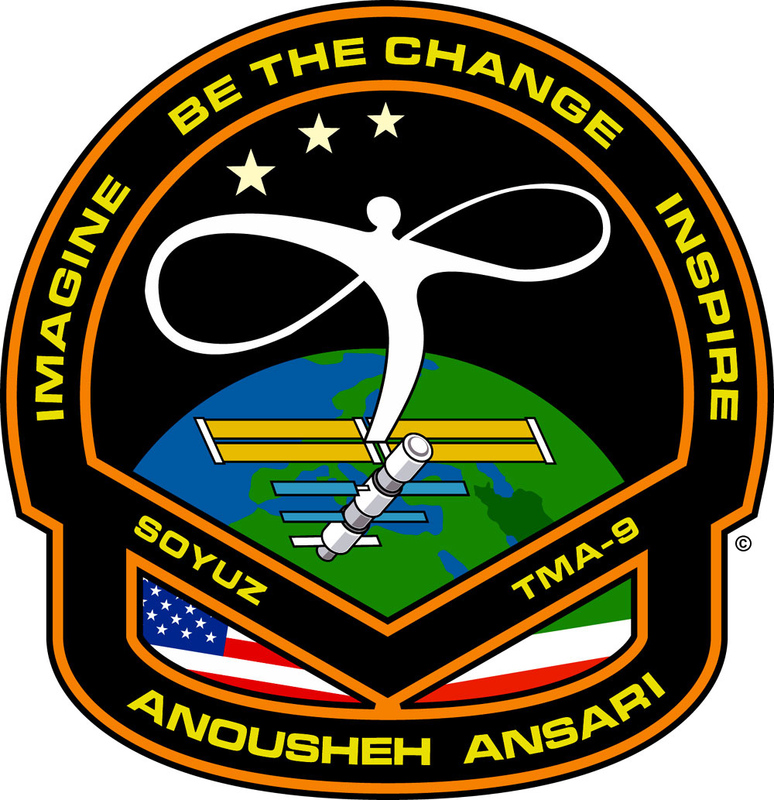 Enjoy your remaining time on orbit Anousheh! Have a safe landing and may your god be with you. Hello Anousheh, thank you for sharing your amazing experiences at space with others, it is really interesting to hear how the experience is from someone that is not a proffessional astronaut, so we can identify more with the experience. I think you may be already famous (I didn’t hear about you before), but surely you’ll become much more famous after this trip. Greetings from Argentina and God bless you, you seem to be a nice person. I have been following your journey into space and the fullfillment of your dreams. In reading this blog i realize that you are touching many many people around the world in a very wonderful way. You have a specail noble way about you, like a messiah or a prophet and many people are hearing your message here on earth. With your smile and grace you are creating understanding amongts cultures and fostering PEACE ON EARTH! I am so jealous, I wish I were up there right now learning how to use my big toe. It would be so much fun trying out all those things I learned in physics about action and reaction and rates of motion. Your blog postings have been the best for the Space Adventures experience, I imagine that what you have sent around the world has inspired countless people to aspire for spaceflight themselves. Flying in space has been my dream since I can remember but I lack the resources to go myself, so I have to live vicariously through your postings. 🙂 What you have done in the last few years for the private space enterprise with the X-Prize and now flying yourself and inspiring people will have positive repercussions for years to come. Thank you again for sharing with us your great adventure and a special thanks for what you have done to help make spaceflight more accessible to everyone. I used to suffer from motion sickness, and when I read of your time spent becoming adapted to space, my heart went out to you. And now you describe weightlessness with such joy, I can hardly wait to experience it myself some day! Hi! Reading your blog was really wonderful, because of the lucid way it has been written in. It covered some really interesting facts about weightlessness in space in a fun way. But, weightlessness in space can be problematic if you are not close to something you can push or tug at, like when you were in the “Node”. However, there is one possible solution…maybe its a trifle ridiculous…but I would love to know if it works in space…its this: Would blowing air really hard get you moving? In that case, carrying small cans of compressed air would really help. Anyway, great going Anoushesh, happy holiday in space! I have been following your journey into space and the fulfillment of your dreams. In reading this blog I realize that you are touching many many people around the world in a very wonderful way. You have a special noble way about you, like a messiah or a prophet and many people are hearing your message here on earth. With your smile and grace you are creating understanding amongst cultures and fostering PEACE ON EARTH! Not only are you a planetary traveler, but you are also a planetary healer. I am so glad to hear that your journey has been as happy and delightful as you expected, or even better. I wish you a very safe landing back on earth. I also wish you a great prosperity, more achievements in life … you deserve it. Your post highlights how much we take for granted in a one G environment. I cannot remember the last time I thought about my toes as a working digit. I suppose if I didn’t have a few, I’d walk with a distinct pattern to compensate. I read a book by John J. Nance called “Orbit”. His tale is compelling and remarkably similar to your Space Adventures experience. I don’t think most of the human race understand the amount of energy it takes to get a vessel moving at orbital speed. The equation to figure the amount of energy to get 1000 lbs in a LEO (low earth orbit) is not complex if you’ve had some physics classes. The reason I point this out is that the next phase of your adventure, the return to earth, is, well, dependent on Sir Issac Newton’s laws of mass, force, accelleration, time and a number of critical events all happening as planned. A shuttle astronaut (Bruce Melnick) once told me the amount of energy dissappated when returning to earth is equal to the amount of energy it took to get into orbit. The temperatures, g-forces, navigation, cabin pressurization, parachutes, descent rockets and recovery systems all must work in sequence. I suspect the highest rate of your breathing and pulse will be during the entry phase. That’s really interesting and velcro is an excellant idea! We really take gravity for granted…never realizing what it must be like without it. I’m sure it’s a lot of fun to figure out new ways of doing things. Thanks again for being so passionately informative! You are very special to so many. Anousheh, I just heard you talking on the 2m Ham Frequency for a few seconds. I heard you long enough to say your name was ‘Anousheh’. It was at about 12:15 CST. I was just sitting out in my truck in the parking lot eating lunch. I had programmed the ISS international freq in a few months back but had heard very little but I heard you just as plain as ever. You said thanks to some HAM and gave a call sign and said this is Anousheh and then I waited and never heard another thing. I’m in Little Rock Arkansas. I thought it was pretty cool so I went to search for you on the internet and found this blog. It sounds like a lot of fun to be up there and I think it’s cool that you have put so much effort into fulfilling your dreams. My hat’s off to you! Thanks for blogging and letting us know what’s going on. I need to show this to my daughter who is 12 years old. She’d think it’s cool! Would there be any chance you might write a book with pictures describing the experiences you had? It would certainly be spectacular for all ages! Following you up there ! . . . I still get this feeling of how it would be like if we had made the trip to the space and still want to share all the good things here on earth . . . it’s hard to describe because not only you have your experience of life time, but we also have the same chance to try it frome here on earth and hear it from someone who is more more like us, half Iranian, half . . . .! Wish you luck all the way . . .
Would there be any chance you would consider, maybe you already considered, writing a book with pictures describing the experiences you had? It would certainly be spectacular for all ages! You sound SO very happy from space. It was such a pleasure to read your post today (Thank God for the internet!) I wish you a safe journey home and thank you for sharing your experience with us… it is truly amazing, as are you! I am really happy that you are sharing your invaluble experiences with us. Wow! . .. . you say weighlessness! and here on earth . . . we are floating with you! . . I am serious! When I read your earlier blogs about how when you were younger at nights you would stay up, gaze at the stars and wonder what is up there.. I felt as if I was reading my own blog. I think its safe to say that everyone has wanted to know: what is the meaning of this universe, what/who’s up there, why are we here, how does it feel to be up there….a point in their life. I am (we all are) so proud of you to have followed your dream and I wish with all my heart the best on your last few hours in space and that you come back safe and sound. I hope to meet you someday. I hope I never give up, just like you. I’ve met a few astronauts, they are always so down to earth and so nice, but no one ever talks about the little things in space; like washing your hair or the usefulness of velcro :D. Thank you so much for sharing your experience. Really interesting..I never did realise the value and worthiness of Velcro until you mention it! Thanks so much for sharing your experience. I am learning so many things from your blog and am amazed by the genius of the researchers who come up with creative solutions to function in space. I have a question…how do the objects move away from you in space (like in your book example) if things can’t get momentum on their own? I can’t wait to read your blog on re-entry to earth. I read a little bit about it and its one of the most complex manuvers and very scary. Good luck with every thing. You guys, the astronauts, the Space Agencies and the aerospace companies and research institutions working with them, the people from Space Adventures and individuals like you, Anousheh, are paving the way for us. If humanity is still here in the far future, we better have learnt to live outside the Earth, whether it be in space stations or in other planets, because our Sun will eventually get extinguished in about 5.000 million years; it is now in the middle of its life, say it is a 45 years-person if the average life-span of a person would be 90 years. It is not fantasy, it is real astrophysics at work as we are observing lots of stars like our Sun out there in the Universe, undertaking this process. Thus, space exploration is about many things…It is about inherent human curiosity; it is about technology breakthroughs which find a lot of applications down in Earth (medicine; telecommunications; weather prediction; Earth observation and natural resources surveillance; new materials and medicines..); it is about new discoveries concerning the Universe and our place in it (how it all began; is our Sun unique or are there many more stars like ours; are there more planets with new moons, are they like the Earth; could there be microorganisms inhabiting other worlds; are the materials necessary for life a curiosity or is there plenty of them in the Universe…)…But space exploration is also about humankind survival. It is certainly very far in the future, so, who may wonder?…but those who like to think and consider things in perspective, those who like to take initiatives in things, may wonder. So these first steps we are taking in space are of paramount importance for all of us, and you are doing them for us. I am considering also here the people working down in Earth as I mentioned before (the engineers, the scientists, the ground controllers, etc…); and we also thank people like you, Anousheh, for giving us first-hand, so directly, so touching, your experiences about space, bringing to us a little piece of the Universe you are experiencing. Excellent, inspiring, and utterly amazing work done. We must keep going and I am sure there will be more of this in the near future. You are not only smart and beautiful, you have cute sense of humor :-). I have your blog as my home page and my two sons (8 and 10 yrs) can’t wait to read your blog after school. thanks for what you are doing for our young generation. Actually, according to Wikipedia, Swiss engineer Georges de Mestral invented Velcro in 1948. I’m sure he had no idea how important it would become to space travel though. Many people are following your adventure. It should be a big challenge. Can’t wait to see you next week. Wish you a safe and smooth trip back home and let us know if you found your lip gloss!!! i got caught up today! been busy getting ready for winter in midwest usa. love the blogs! my husband said they stuck you in the middle and gave you that story to get you out of the way! he’s extremely jealous! i’ve had those dreams of yours myself, floating over my nieghborhood from my house to my school, or a nieghbor’s house. i’ve also had dreams of breathing under water like a fish. i think they go back to when we were in the womb. memories. as for not being able to move in space unless you propell yourself, what about blowing air out your mouth, like blowing out a candle? would that be enough pressure to propell? have a beaytiful time in your last few days! i hope i will see something on the news when you land. but i LOVE this blog! will it stay after the trip is over? Time flies and now so do you! If it seems a short 11 days to us, it must be whizzing by for you. Enjoy your final day in space! khanome ansari salammmm! farda akhrin rozeton dar fazast !omidvaram va arezo mikonam betonid ravesh o rahe hali peida konid ke betonid ham khodeton va ham baghieh mardom betonan tajrobiat shoma ro tekrar va dark konand! azaton darkhast mikonam tarjomeie farsi weblogeton ro be roztar va mesle blog ingliston bashi ! doa mikonam farda shab be salamat be zamin bargardid va baghieh tajrobiteton ro vase ma benevisid ! shad o moafagh bashid ! Anousheh, thanks for writing down all the experiences in the weightlessness environment. What sort of food you guys eat in daily basis? Have a nice trip! As an Iranian-French family, we are very happy and proud of you representing Iran so high. Good luck and wish you could send kisses to our little ones from your new environment. Moaffar bashid . Khoda afez. Abbas, Nilouphar, Rose and Isabelle…. Thank you for opening so many doors…and then gracefully flying through them! بابت سفر جسورانه و افتخارآميزتان صميمانة تبريك مي‌گويم. اميدوارم به سلامت به خانة مادري، زمين، برگرديد. اميدوارم اين نوشته را حتماً بخوانيد. سفر شما نگرش جديدي در بين جوانان (و غير جوانان) در ايران بوجود آورده است. بيشتر معروفيت شما بابت اين چند روزي است كه به سفر فضايي رفته‌ايد. ولي بيشتر تاثير شما بابت ساليان قبل از اين سفر و البته ساليان پس از اين سفر خواهد بود. ساليان گذشتة زندگي شما از بابت اينكه منبع بسيار الهام‌بخش اعتماد به نفس و بزرگ فكر كردن است و ساليان پس از اين سفر از بابت اينكه اين اعتماد به نفس شما، در تك تك جوانان ايراني نفوذ كرده و نگرش ((توانستن)) را روشنايي بخشيده. شما در ايستگاه فضايي احساس نابي را تجربه مي‌كنيد كه شايد براي ما غير قابل تصور است. مطمئن باشيد كه ما جوانان ايراني نيز احساس نابي را تجربه مي‌كنيم كه شايد براي شما غير قابل تصور باشد. اميدوارم روزي بتوانم همانند شما براي كشورم ماية افتخار و سربلندي باشم. شاد و سلامت و پرتغالي باشيد. From this very litlle country in Latin America and with my “first” 55 years old I´m really amaizing of what u are experiencing. When I was a little boy, sitting on the grass, looking to the dark sky, It seemed that stars are coming to touch my face and with my hands I can move them from one point to another. Now, with your descriptions, I´m remembering those days. Dreams are reality, only human bean, tolerance, help each-other, confidence, continuous improvement and a “bit” of God support to iluminate our way are needed. Enjoy the moment!, I´m there with you, seeing what u see, floating as u float, feeling as u feel. My wife, my sons, my futures grandson and next generation support you. Our best wishes during your trip to return. You have the sensitivity and the talent to share, to inspire and to translate into words your great orbit experience. Through your words I feel myself emotional high ZERO-G ! Thanks to your great talent to tell your feelings. Tonight, at 4:45GMT, you brighten my night sky, hair angel passing by, among te stars. Thank you for everything you have done and sharing your space stories with us. We all have a lot to learn from your adventure. Good luck and stay safe. With great admiration, best wishes for your fellow members. 88’s and whishing all the best for you. تا میتونید از اون بالاها از زیبایی های زمین لذت ببرید که روی زمین چنین لذت و آرامشی دست نایافتنی است. از اون بالا سلام ما رو هم به خدابرسون! ما اینجا به امید دیدن شما به آسمان مشهد خیره میشیم وبرای بازگشت شما دعا میکنیم. Enjoy the earth from there! You wont find that calmness and peace here! We are looking for you in Mashhad’s Sky! Can you see your city from there? Abbas, Nilouphar, Rose and Isabelle (Paris – France)……. Congratulations on your arrival at your new embassy from a fellow immigrant Texan! Space should be for everyone and I am glad you are ushering that day in. Perhaps when you return, you can work with me so anyone can win a trip like yours in a skill game. Thank you so much for the contact this morning from British Columbia. It is very exciting for young women to see your many accomplishments. Again I want to thanks you and extend an invitation to visit British Columbia and possibly make a stop in our location to meet and speak with the youth of our community. My thanks and I hope to make another contact with you prior to your return to earth. Warmest regards and I hope to hear from you. Thank you Anousheh for sharing your space experience,such a visionary & spacy…i’m telling again : u should write a book sometime. make it so touchable for us.Thank you! I’d really like you readers to share your opinion and ideas with me.We could chat about it.so add me if you like to. HOW WONDERFUL TO READ YOUR SPACE EXPERIENCES DAILY HERE IN TURKEY AND MANY THANKS FOR OPENLY SHARING YOUR MEMOS. CONGRATULATIONS AND HOPING YOU ALL A VERY SAFE TRIP BACK TO WORLD.BEST WISHES TO YOU & OTHER CREW MEMBERS FROM ISTANBUL,TURKEY. GOOD LUCK. bravo l’artiste ! Quel talent ! if you were my wife, i would have bought the whole lip-gloss factory 🙂 good luck. I bet you miss eating ghormeh sabzi up there. This a great thing that you have done! So great, in fact, that I am at a loss as to how to express why I feel that to be so. In the past, millionaire space tourists were just side shows – quirkey people doing quirkey things because they could (thanks to those other quirkey people – the admistrators of the Russian Space program) – rich people buying their way into serious scientific endevours because they were rich and could afford it . . . rich people – far removed from everyday people – unreal people doing unreal things. And then, there was you, and it is all different. It is all Real. This whole experience has the feeling of a definite First. You aren’t the first woman in space, or the first woman on the ISS, or the first Space Tourist – but you a First . . . The First Everyday Person to go and live in Space. (The First FEP?) This is the experience of a person to whom anyone can relate. An untrained everyday person – who can communicate. Your blogs are so easy to read and and understand. And they effectively communicate the intimacy of your personal experience. They seem Real. They feel Real. And, they are a great read. I have learned more about what it is personally like from you blogs, than from any news coverage, or “up close and personal” program, from all the past space expeditions/experiences put together. I don’t mean to belittle all the astronauts/cosmonauts who have done such wonderful things over tha past 45 years – I know that in their hearts – they are all just everyday people. But watching their heroic accomplishments – and tragedies – over the years, has always fell like being on the outside looking in. But with you, we feel like any of us could be right there. It’s Great! This is the beginning of something new . . . and, exciting. As a founding trustee of the XPrize, I watched as Peter struggled to raise the money to make the prize work. For years he was out there knocking on doors seeking support – to little avail. Then one day I recall he and I had dinner and as I dropped him off in Santa Monica he said he might have found someone…. shhhhh……someone to give just enough money that he could leverage the prize into existence. My immediate thought was “Great! There are still crazy people out there willing to take a chance on space!” Then I immediately began to run lists through my mind of all the crazy folks I knew who might be the donor…. Of course you aren’t crazy (well, not that way), you are brilliant, and your arrival in this cause has been the critical ingredient that may have pushed us over the tipping point. That one decision you made, I don’t know if it was laying in bed at night, talking with your husband, looking at the stars, or driving home after a talk with Peter…but that one decision – the one where your dreams became an action – may end up changing the history of the human race. History is changed by such decisions as yours all the time. Grand words I know, but when I step back and look at this moment in time I see a species at a crossroads. Do we go up, or do we go down? Do we hate or do we love? Do we accept the role of pillaging power hungry primates or do we look up and reach for the stars? Do we give our children an ever-narrowing set of dwindling possibilities or offer them the universe? A or B, yes or no, inaction or action….. You have taken action. You stepped up to the XPrize and gave our movement a push at exactly the right moment. And in the next years we will see the fruits of that action. And now the next decision, now you take the next action. You fly in space yourself. I was the one who shook the hand of Dennis Tito that began his quest to fly, and I know the power of realizing a personal dream. His flight was cast by many as a glitch, a self-indulgent foray into fame…which it of course was not. It was his life long dream, and by flying he helped show space was not just a government playground anymore. Yet now you have stepped up to get yourself into space – yes, it’s the realization of a personal dream – yes, you are having the time of your life, but you have done it in such a way and with such class and a focus on outreach that it is leveraging the personal dreams of perhaps millions. As I read some of the notes flooding your blog, I am moved to tears at times. You have touched a chord in so many…..
My girlfriend was born in Iran, and through her I have developed an empathy for all things Iranian/Persian….it is hard to quantify, but I feel a relationship with your former home. What you have done to lift the eyes and hopes of the people of that great nation is incredible, and far more powerful than the tools employed by governments. The soft touch, the smile, just being and letting others “be” with you. Many others have sung your praises for this, and so do I….at a time of war, your smile sings of peace. At a time of hate, the love you are sending down from out there is perfect. For those of us in the space movement, you have brought an energy, commitment and brightness that was sorely needed. I wish you well and happy voyaging. I read your spaceblog, being very impressed about your experience. As a member of Space Education Institute (SEI), Team Munich, I support Mission 3 to translate your spaceblog. I’d like also doing such an exciting voyage. But first of all I must learn from your experience and from my teachers Yvonne and Ralf Heckel. I wish you all the bests for you and your team, a good landing after this wonderfull experience. Tremendous descriptions. thank you for your beautiful posts, they make me feel i’m in ISS too. i’m looking forward to read your new posts. ejaze bedid begam anooshe jan,intori hese ghashang tari daram.az inke yek zane aryai ro dar chenin jaigahi mibinam be khodam va sarzaminam mibalam. anousheye aziz. salam. jaleb bood. Aqui, de Goiania Goias Brasil nossa menssagem de muita paz para todos que habitam o planeta terra. Thanks for taking time out and sharing with people back home on Earth writing your Blog every day. It has been a pleasure to read of your experience first hand as it happens. You will have to include it all in a book. Have a safe return flight, re-entry and landing. Yaghinan Be roye faza Boodan o Dar HARIME Malakooti Pay gozashtano Lams kardan Motefavet ha Ehsasist Tosif nashodani ama In Ehsas ke Pay dar Zamin o Sari Roo be asman Ham Zibast ! Roozhaee Sarshar az Sarsabzi va Lahzehaee SARASAR NEshat baratoon Arezoo mandam . I am really enjoying reading your experience from ISS. Please keep on blogging though you are just about to start your journey back! I have proudly told all of my classmates at school that you are up there. TOO THANKS FOR WRITING,I WISH TO KNOW YOUR FEELING AND EXPRIENCE ABOUT ALBERT EISTEIN THEORY OF RELATIVITY, AND THIS EXPERSION FROM HIM ,” ONLY 2 THINGS ARE INFINTE, THE UNIVERSE AND HUMAN STUPIDITY AND I AM NOT TO SURE ABOUT THE FORMER”,MAY IT BETTER TO REPLY AFTER RETURN BACK. We can not all be there, in space, so thank you for seeing for us and sharing your experience with us. Please wave if you pass over Norway, we’ll watch out for you. Wish you all the best ! Interesting to learn that you cannot “swim” in space – in my mind I always imagined you could, not terribly well, but you could eventually get to where you were going. I don’t suppose you have considered testing Newton’s third law by tossing a shoe or something? Very nice description, brings floating in orbit to life for those of us stuck on Earth in a way no NASA document ever will. thanks for sharing your experience, keep writing.I like it. Dear Anousheh, you are doing the most fantastic job on this blog! This is bringing people all over the world the feeling of being in space in wonderfully personal way. It’s humanizing the experience in a way the egg-head astronauts haven’t done since the Apollo program. Congratulations, we’re all thinking of you. YOU DID THE BEST ONE MAY IMAGINE, YOUR FLOATING IN SPACE REMIND ME THE FLYING OF THE BIRDS OR MORE FLYING AND ROTATING THE BUTTERFLY, ALL THIS MAY OCCURE WITH SOME LOVE AND KIND IN YOUR HEART. No, I’m not THE Jeff Williams on the station. Another one, tho. Ms. Ansari, your blog is a delight to read, and I wish you a safe journey back home, and oh boy will you have stories to tell your kids and grandkids! Beyond all the other “space tourists” you have really captured the imagination of the world. Again, Godspeed and a safe return Thursday. Hi there, and thank you for sharing your experience with us earthlings who might not be able to experience what you are experiencing right now in our lifetime. But we don’t envy you, we admire you. I have a feeeling that a lot of plain facts about Zero-G are widley available to read if one wants to find out, but that doesn’t stop me from wondering, especially after reading your blog about lost lipgloss and yogurt-behavior, how often accidents happens and what the results are from that? E.g. what whould happen if someone accidently would toss or smash a can of yogurt? Do you assemble the crew for a cleaning-raid or do you start up the vacuum cleaner (are there such objects there? :-)) and clean it up yourself? Why I’m asking is because I’m a sucker at cleaning and would die if I had to clean it up by hand, heh. Well, thank your once again for reading your blog! khanoom ansari nakhastam commentam ro engelish benevisam chon ke daram ba ye banoye irani sohbat mikonam.vaghty khabare inke yek zane irani be onvane turist dare be faza mire besiar khoshal shodam hamash toye college be doostam va ostadam migam ke on kesi ke rafte faza IRANIE va baese eftekhare mane.fekr konam ta chand sate dige eb zamin miresid ya shayadam alan residid beharhal omidvaram ke safar behetoon khosh gozashte bashe ke 100% ham hamin toor bode.age dosotdashty dpage man ro ham check konid va nazaretono begiD.bazham mamnoon. omidvraam ke betoonam az nazdik bebinametoon. Today is my father’s 91st birthday and I just realised what changes he must have seen during his life. Imagine when he was a little boy, the first aeroplanes started to fly. Nowadays you can fly anywhere over the entire globe at any moment for hardly any money. Our modern society could not function without this form of transport anymore. I’m 56 now and when I was a little boy, the first satellites and spaceships started to fly. Do you see the analogy? I wonder what the world will be when I myself am really old. Now, thanks to people like you, spacetravel will come within reach to more and more people. My ultimate dream naturally would be flying into space one day, and maybe if I live long enough, that day will come. If not, I am very happy that I live in an age that I can share the experiences of other people and that I have lived to see it all happening, from the first careful steps into space, the landings on the moon, development of spacestations etc. This morning I got up early and saw your star brilliantly rise in the west and fly across the twilight sky. It was a nice view and I would recommend that to you too when you will be back on earth. It would be strange realizing that you have been on board of the ISS during these 11 days when you see it fly among the stars. Have a save homecoming Anousheh, take care. Lioness. Keep up your blogs and have a safe journey back home. I’m taher mahmoudabadi From IRAN.I’m mechanic engeenier, Ime and my family Honer you and we love you.we pray and wait for your comeback to the earth.we have you have best enjoy and happynes there. I have some invention that I submit these i n IRAN and I have some important invention that I don’t want submit those here ,these are about space ship, airplane, helicopters, jetski.I want to submit these in the world. Do you help me to do that?? I’ll wait for youe mesage. have god time around earth. and think about time , licht, space, sun, god, humen. we love you and come to your blog every day. Anousheh, I hope and pray that all the Presidents, Prime Ministers, Kings and Queens and all other leaders of our countries read your blog, and read atleast some of the comments the people of the World leave. Maybe, just maybe they’ll see how important life and our World is, and how war is not needed to be happy! Thank you for your wonderful and detailed blog! You have captivated us all…. I can’t imagine having $20 million dollars and doing something as selfish as putting myself on a space craft to go into space. The money you spent will not benefit anyone but you, you could have done so much more that is meaningful to so many other people. How can you look at yourself in the mirror every night when you live such a frivolous life? How can you have been so fortunate in your life to have the money that you do and use it so that you are one up on your society friends at the latest cocktail party? Very sad that money doesn’t equal conscience or responsibility. You are a very brave woman – an inspiration. Your blogs are incredible. I’ve enjoyed them. Congratulations on your journey and your ability to convey it so well! All the best for the rest of your travels!! Yours was by far the best description from space I have ever read. It was just marvellous. I am 47 and I still have that dream of being able to fly around – at least once a month. I feel really great that you are able to do it and enjoy it. I can imagine how happy and fullfilled you feel. Thanks for describing how you can finally use keyboard in weightlessness, now I have a more serious question. You told there is places (like Node), where you can not reach the walls easily, and while floating, you have no access to anything to push to move. I guess as there still air exists, some kind of swimming may help you move very slowly (at least), but even such an slow movement is not happening, then can we think of possible traps inside the station? Say if for any chance, somebody gets trapped in such special locations, and there is nobody to help (or if the other is also trapped in the same type of trap), can’t it be a real danger? Even thinking of such hangups can be devastating! It is like when you write a program which makes a never ending loop, and hangs everything and control can never be given back to the system. Let us know if there is any of such kinds of dangers in ISS, and if they have thought of any security measures for them! Salam alaikum. That’s really remarkable. Have a safe and happy journey back. Keep making and taking videos/photos/blog entries, so that you have a precise record of everything. Hi there….I’ve been watching your journey from down here in Carrollton, Texas since you lifted off. It makes me so happy to come home at night and read about your amazing experiences. Your words are amazing in telling people that you can accomplish your dreams. I am hoping to make it to the XPrize cup in a few weeks so maybe I will get a chance to hear you speak there. I think I am going to post on Craigslist Dallas to see if I can find anyone in the DFW area who wishes to take a road trip out there…it looks like such an awesome event to experience and learn from! Best wishes for a safe return home. I know everyone down here is praying for all to go as planned in your journey home. Waving hi from Peterborough Ontario as you come back to earth! Gives credence to that adage…reach for the moon and you can fall amongst the stars!! Safe journey back to you and your colleagues!! Man that is so cool to hear that you can do almost anything up there… i wish i was there…. and be able to catch water drops with your tongue! man that’s so cool… good luck flying!! When was a kid i read about mission Apollo, Solyut, etc..
And now i am reading in network computer the news coming from space from a starship around the hearth..
Have you seen any city being bombed? Can you tell us how shinny it is? I wonder how you see it up there! God bless you Anousheh, and all the ISS team ! You have created A new class of explorers, there will be more like you.Thank you for paving the way for all who share the dream with you. We are all proud of your achivements and the way you are sharing it with others. We are proud of you! Thank you for sharing your extraordinary experience up there. Wish I could fly in the air like you up there. Take Care always. 1. Instead of catching liquid or semi-solid globule with a solid object (spoon) which may lead to splitting the globule into droplets, try using a short straw. It’s a larger spatial net, requires less hand-eye co-ordination, and if you catch more than a mouthful, there is comparatively lots more surface area for the globule’s surface tension to adhere upon. 2. Send up a few flexible low-tesla flexible patch magnets, the type that people usually find on backs of fridge magnets. Stick these to velcro strips, and it becomes a holder that will be attracted to a flat metal surfaces, helping the friction to hold the object in place. Ensure that the tesla magnitude is low enough to not affect any instrumentation or electronics, but high enough to resist the mass-inertia of the objects. As the mass is usually low for lip-gloss and books, it should work. 3. Velcro currently available has different colours. Reserve a colour for small personal objects, and different stripe combinations for individual staff. This should make spotting personal objects easier. For important objects, add one of those whistle recognisers that people usually use for keys. By the way, velcro was invented by Georges de Mestral, and to all those who initially resisted his idea, “Success is the best final word”. 4. i.Tech Virtual Laser Keyboard is Bluetooth enabled and doesn’t require a “punch” onto the keys, just a light touch on the surface that the keys are projected onto. This will greatly reduce the Newtonian keyboard reaction, as there is negligible action to react to. It also makes key-clicks if needed. 5. Flat fibrous surfaces (eg. paper) adhere to flat metal surfaces better with glues than velcro. 3M’s Post-it® Notes uses such glues. If the glue was in a tube, it could be extruded as needed. 6. Velcro soda-pop bottles onto the front of a sleeve. Add a flexible straw leading to your upper shoulder, which will allow you to easily keep hydrated, keep the bottle out of the way, keep your hands free, and keeps the bottle in easy visual distance for a refill check. 7. Velcro your headsets’ cable to the sleeve opposite to your soda-pop bottle, with the plug held by a velcro ring in the middle front of your clothes. It’s within easy reach, easily visually checked, and if you fly away but forget to detach the cord first, then you’ll receive a gentle tug from your headset to remind you. We Iranians in Canada are proud of you and already miss you on the ground level. Accept all our greetings from the ground Level. I loved your interview and that flag is beautiful. Thanks again for a great blog! Perhaps I have too much time on my hands tonight, but I would like to share some thoughts on your blog tonight. Your description is great and the details of your experience are so wonderful! A few days ago I was worried about your space sickness, but it sounds like you are improving in feelings and health. On a more playful note… you were saying that you notice that you can “hover” for 25 seconds without touching any surface. Perhaps your duration hovering is related to your mass. May I offer an explanation for your inability to “hover” as long as the guys? Your ability to “hover” in the node is a reflection of your total body mass. Your total body mass and your total body surface area is probably less than the men on your crew. With less surface area and less body mass, I wonder if it takes less air flow to impart a force on your body and accelerate you. Assume that you have two people, one person of Mass A and a second of Mass B. Therefore, you will accelerate faster than Williams due to the force of Air flow by a ratio of your masses. So, if Williams is 75 kg and Ansari is 50 kg, Anousheh will accelerate 1.5 times faster than Williams due to an equivalent amount of force. I suppose now, you would need to do the calculation on the force of air on you versus Williams. But, your calculation would need to take in account the fluid dynamics of air flowing through the cabin across your body and the crew mates. Because we do not know your measured cross sectional area (Say, I wouldn’t want to ask you your dress size!) and because we do not know the cross sectional area of your crew mates, I have assumed that they are likely similar. On the other hand, Vinogradov, Williams, and Reiter may have lost some weight in space! Have a good return flight and the world is praying for your safe return! That was a fun read, and a wonderful description. Thank you so much for bringing your experience to us earth-bound folk (or, as Heinlein called it, “Earthworms”)! Allah’u’abha! We live in wonderful times. I wasn’t even born yet when man first landed on the moon, but I have a nephew who, as a young child, was very surprised and disappointed to find there weren’t people living on the moon. Just as I cannot fathom what it is really like up there (though your narrative certainly helps! ), I cannot imagine what the impact of what you have done (through the X-Prize) and your own experiences right now will have on the future. Perhaps my youngest daughter, who was born dreaming of living on the moon, will see her wish come true. That is a truly wonderful narration, It felt like I was in space. You have initiated the concept of Space travelling in the coming times I think it would be much common for people to go on a vacation to Space. Thank you! Your description was so vivid! We homeschool our kids and this will be an excellent science lesson for them. kheili khosh halam ke safaretun be khubi va khoshi dare be payan mirese.omid varam be salamat be zamin bargardid.ma hame cheshm entezare shoma hastim ke be iran biaeid va ma shoma ro az nazdik bebinim. thank for sharing your value(and too expensive!!?) experiences. Could u tell us how u drink water ..? Hi Anousheh from Geoff Weston down here in Dunedin New Zealand. Safe landing, and I look forward to reading more about your experience. If you can suggest any way I can help or get involved in a good cause to preserve our beautiful earth, please let me know. Thank you once more for sharing your trip and your dream with all of us. We (you and I, and millions of others) only have hours left on the ISS (better known as Anousheh’s house) before we have to come home, but what a wonderful time we have had! We have all had motion sickness but recovered, we’ve watched people interact with each other and show respect, we managed to get some work done and have fun at the same time, and sat around the dinner table and shared space stories. We’ve crashed into a few walls, but now we can crawl on the ceilings, and fly like a pro. We asked questions, but they were good questions ( did they think we were some stupid tourist?). We’ve washed our hair in a plastic bag, and taken a bath with a wet towel, and hung our sweaty clothes out to dry so we would have something to drink the next day. We could look out our bedroom window and see the car in the driveway. We slept with our head against the same window and watched the earth go by until it gave us a headache. We saw land of all types, but could not see any lines separating them. We saw clouds, so many clouds, of many shapes and sizes, and water of so many shades of blue. But it was the stars, millions of them, going on forever that left us speechless. If only we could get just a little closer…..
We did not come to promote space tourism (sorry Mr.Michael Lopez-Alegria, you almost got it, but no cigar). We came as space explorers and to promote peace. We looked at the traffic light outside of Anoesheh’s house and it went from yellow to green. It’s time to gas up the car and go. Hanging out in earth orbit just doesn’t cut it anymore, it’s time to move on. We’ve got to make a pit stop back at earth to pack a few more things (Anousheh lost our lip gloss!! ), but we’ll be sure to wave at your government-run housing project on the way by. We’ll even leave the light on for you at our hotel chain that will start on the moon, and will end as far as your imagination will take you. Anousheh, you are in our dreams and prayers tonight. Godspeed, and come back safely with your fellow space explorers. You truely are our star of hope. GOD PROTECTS YOU, DO YOU AGREE WITH THIS IDEA THAT PHYSICS HAS HIS OWN LAWS & THEORIES AND SPIRTUAL MATTERS ALSO HAS HIS OWN LAWS AND THEORIES, AND THE ART OF US IS TO EXPERIENCE AND VERIFY THE COMBINATION OF BOTH AS YOU DID. مخلص همه آدمهای با حال!! I really like reading your blog, I have been following it throughout your journey. Your description is very vivid and I can really imagine being up there with you, thanks a lot and keep writing. You encourage me to keep sticking to my dream of spaceflight and do everything I can to realize it. I am really happy that you have made it and that you enjoy it so much! You are up there for all girls and women who want to do it too! Greetings from Germany and may the Force be with you! I think you can start moving in the weightlessness with power of your lungs!! Just make some powerful outward breathes. I think it must work. کم کم اشتیاقم برای آمدن به فضا برای زندگی کم شده چون واقعا زندگی با این شرایط خیلی سخت است. چند نفر از خوانندگان حس شما را نسبت به خدا پرسیده بودند من هم خیلی علاقه دارم بدانم نگاهتان به خدا چه تغییری کرده است. ازانها که بگذریم اجازه بدهید کمی هم ما از حس و حالمان روی زمین بگوییم. امروز پنج شنبه است و ادارات در تهران تعطیل هستند ولی اینقدر آگاه شدن از وضعیت شما برایم مهم شده که برای دسترسی به انترنت پرسرعت در روز تعطیل به سر کار آمده ام. نمیدانم چگونه می توانم مراسم خداحافظی شما از ایستگاه فضایی و بازگشت شما به زمین را مستقیم ببینم. ولی اگر لازم با شد امشب نم خوابم ودائم کانالهای مختلف ماهواره را برای دستیابی به خبر رسیدن شما جستجو خواهم کرد. اول از همه باید بهت یه تبریک بزرگ بگم….تبریکککککککککککککککککککککککککک به تو دختر آریایی…..
راستی میخواتم یه چیزی بهت بگم.من بچه ی اهوازم،حتما میدونی که اهواز توی استان خوزستانه…اینجا همه ی اونایی که فامیلشون انصاریه دزفولی هستن(دزفول یکی از شهرای خوزستانه)منم خودم دزفولی هستم ،خیلی دوست داشتم بدونم که شما اصالتا دزفولی هستی یا نه؟چون اینجا همه میگن که تو اصالتا دزفولی هستی….میدونم که حتما واقعیت و بهم میگی…..
امیدوارم وقتی اومدی زمین جواب ای میل منو زود بدی چون برام خیلی مهمه….. I don’t know if you received my last comment, so I decided to write once again. I’m an Iranian boy who is so proud of being Persian and having a country man like you. Wish you best time there up in space and I hope to see you once here in our native land Iran. By the way what you have done has a great effect on Iranian and whole the world, I mean your end of the trip (Peace for the world and development of space trip). Once one of my friends told me that he wants name his girl Anousheh in memory of our great Anousheh Ansari. Also the website that I leave you is not working yet, but I love you to be first person to visit it .Get home safe. With the best wishes. hope you are fine up there and doing well.Eshallah ke be salamati safaretoon tamam mishe va be zamin barmigardid vali azatoon khahesh mikonam ta mitoonid az oonja film va aks begirid va hatman baraye ma zaminiha biyarid va be nemayesh bezarid lotfan. dar zemn mogheye bargasht baraye hameye adama roo zamin va hatta khode zamin doa konid ke hamishe beshe solh be hame ja bargarde. Thanks for sharing your experiance with us, one point is that you ENABLED the space agency to do its job. It does not cost them that much to send you up but you help for them to maintain all activitives. Good job. Second, I would really like to see that you put all of this in a book starting from when you were youg till when you landed. Salam..shoma ke dar neveshteye 14 september neveshtin ke dust darin moshgelato risheyi hal konid….lotfan ye kam az un poolhatuno be bachehaye badbakhte iran bedid ta dars bekhunand va unha ham betunand be royahashun beresan!! !harfatun faghat tojihe vase lezzate khodetun! This is a must read for all school children in their science class! Even an old guy like me learned something. Hope you break the 25 second mark. I am a french writer and a compulsive reader. Throughout my life I’ve been reading a lot of SFi. As a matter of fact, it’s more or less how I tought myself English. But I’ve never been moved to tears as I am to day reading what you wrote in your blog. Because It’s real, because you are talentuously sharing it with us, because you are able to appeal to familiar and vivid images to make us understand what’s really going on out there, and because the work you do is respectfull of us down here, and you are damned good at communicating! I’m so happy that you are up there ! I feel so exhilarated by your undertaking! You are now part of History : not because you’ve won a war or discovered something. Just because you have created the first direct link between space and earth, reaching out everybody’s heart and soul, wherever they live… and given them the most you could of what you’ve been receiving. I deeply and warmly thank you for this. I send you my smile and my tears as yet another proof that you went the right path. For you truly have followed your innermost self, and the whole world is benefiting from your choice. پيامم را فارسي مينويسم به اميد اينكه خودت بخوني و يادت باشه كه ما ايرانيها خيلي به فكرت هستيم و برايت ارزوي سلامتي ميكنيم. چون خودت قول داده بودي كه تموم پيامهاي ما را ميخوني؛اين دومين پيام من براي توست. احساس ميكنم روحم با توست و تمام نوشته هايت از فضا را با جان و دل درك ميكنم. باور كن اين يك واقعيته. هر چند درك نوشته هاي ترجمه شده برايم راحت تره. راستي جواب ايمل من رو كه شخصي برايت فرستادم يادت نره ؛منتظرش هستم. Meanwhile back on earth, I heard six year old (BBND) singing to herself as she dressed…”Thank you Lord for giving us zips, thank you Lord for giving us Velcro, thank you Lord for giving us buttons…”. The kids in Amir Reza’s class in gave him a list of questions to ask you. You have inspired all of us to dream, Even first graders in Mrs. Marshalls class at Kensington Parkwood elementary. Have a safe flight back. May the force be with you!!! I feel great to read about you. Thank you for sharing. I want my daughter to be just like you when she grows up!!! wow….your description of space really hit it for me and motivated me to work even harder to get this adventure of a lifetime. keep it up. Welcome HOME, blessed ambassador of Peace! Thank you so much for letting us see space through your eyes…& for filling our hearts with joy with your beautiful descriptions of EARTH…this beautiful blue jewel hanging in the darkness of space…beauty beyond compare…& for your words of encouragement. Best wishes & many thanks to you, the ISS team and X-Prize. How does it feel to look around? How does the earth and other planets look like? Thank you as you again brought hope to Iranian homes and for young people. Yet too many Velcros here that don’t let us be free and fly back to the Age of Innocence. If possible, please tell us what new knowledge you are bringing down with you from that world of calmness – if I can put it so because I think wherever no Man lives there’s peace. To you, great Anousheh, who feel pure love for the mankind like the people you met up there. Thank you for the vivid details of the little things that make living in space an adventure. It is wonderful to see such an eloquent writer express her experiences! It is the little things that people want to know more about: how to brush your teeth, how to fly, how to sit/stand/float, and have it communicated in a personal and friendly manner tht we know is from the heart. The Space Tourism Society commends you for inspiring millions of people and accelerating the day that more “regular” folks can fly into space. Poets and artists are needed on the ISS to communicate the emotion that is living on the space frontier. خانم انصاری خوشحالم از اينکه به سلامت برگشتی . همه و از جمله ایرانیها از بازگشت تو و نیز از سفر ادیسه وارت به کیهان شادمان هستند. تاریخ ارزش کار بزرگ تو را نشان خواهد داد. بگذریم. خواهشی از تو دارم. تو در زندگی خود ماجراهای بسیار داشته ای و کامرانی بسیار. تو راه دشوار سربلندی و کامیابی را با اراده آهنین پیموده ای. پس به همه بگو که جدا از ملیت و مذهب و زبان – که میراث تاریخند برای ما – هر کسی میتواند آنطور که تو اکنون می اندیشی بیاندیشد آرزوهای بزرگ داشته باشد و البته فراتر از اینها برای جهانی بدون زشتی و نفرت و جنگ و گرسنگی کار کند…. کارکند نه اینکه تنها آرزو کند. Congratulations for your blog. But I don’t understand why people are writing here in arabish!! What does it mean? Can’t you write in english like everybody?? I can only imagine what it would be like… to experience a true “once in a lifetime expierence” must be truly amazing. Your blogs are surreal… hope your final days are wonderful! Thank you for sharing your wonderful, mind boggling experience and a special thank you for reminding me that Newtons laws of motion still apply during weightlessness. I’m looking forward to reading your entire memoirs. What a phenominal treat it is to read your blog. I’ve watched the video and oohed and ahhed. I will give this site to my students so they can learn how a good writer gives vivid images. Thank you from Spring, Texas USA. The sense of being able to fly is great ! Some have commented that spending the amount of money you have to travel into space is irresponsible and selfish. I disagree. That is, of course, if your experience serves to help others. If you work to make your experience somehow heal the rift between the US and Iran. To help show that Iranians and Americans aren’t that much different in many ways. If your trip helps to bring space travel closer to everyone. To promote the wonder of manned spaceflight as the acme of Man’s technological achievements. That space truly blurs international borders. If you work hard to use your experiences to inspire young people to greater things. To show that people from modest beginnings and surroundings can achieve great things. If you truly work to leverage your experiences for the good of us terrestrial-bound people and make them do some real good in the world, then your 20 Million Dollar space tour will be money well spent. If not, you bear a $20M burden of bad conscience. I have confidence you will do the right thing. Now the REAL journey begins! God Speed. How do you feel when you see our blue planet in dark space? I am so glad that you are Iranian. Perhaps the fact that you are able to realize your dream and not bring politics into the equation, we might all learn something. You are an inspiration to everyone, not just women, not just Iranians. I am so glad that you realized your dream. Dreams are worth it. Do not change yourself to be what WE want. Speak in Arabish or whatever language you feel comfortable speaking in. The fact that you are able to make it into space proves that we can tolerate each other, given the desire. Now it is time to work on your next dream. GodSpeed, and welcome back. Thank you for being you and being willing to share that! This blog is so cool. I’m learning so many practical things about space. Thanks for doing this! I’m very glad for you. Once upon a time I wanted to become an astronaut, but reality kicked in. I say go for it when you’ve got the means! All the best from Trinidad in the Caribbean. It sounds amazing to be up there in space. I hope someday to go as well (if I win the lottery..) Keep blogging I enjoy reading them. My name is Maya, I am 6 years old. I enjoyed hearing about you floating around, it sounds like fun. How much do you weigh in space on a scale? Are you zero pounds? Can you take a bite of the burnt almond cookie space?! how i wish i were you. You can write books for this wonderful experience! God bless! I love to travel and after reading your blog, I am inspired to tak my interest to the next level. Thank you for sharing your experience! Wow, I never really thought about some of the details involved in living with out gravity, and expecially the importance of velcro in outer space lol. Well, thanks for sharing all of that, it really made me smile! Oh, and I hope you find your lip gloss 😀 Take care! I love reading your descriptions of being in space, I had no idea that everyday things could be so difficult. You are very brave to go on such an adventure. Burnt almond cookie, makes me want to start baking. Hello Anousheh Ansari, I’ve always been interested in space (outer space). Thank you for your blog. You tell it like it is! The way you explained how things are in space. How you have to move around in detail. I would like to visit space, I just don’t like flying. I have never read, or heard of anyone mentioning that space smells like a burnt almond cookie. I know that being in water helps me to exercise. I have pool therapy. I wonder if being in space and moving around with joint pain could help someone like me?? Again, thank you so much! ive always dreamed to float like that. and i have always took velcro for granted on earth, its such a strong tool there. wow. your a very lucky person! God bless you! and you do earth proud! Thank you for sharing your experiences. I have truly enjoyed reading your blog. It’s mind blowing to think that one could actually become stranded in the center of the ISS. One question, Is it possible to take a deep breath of air and expel it with enough force to propel you across the room? fascinating!! The experience that not everyone can have. i love travelling and adventuring but i have no money..
can u send some money for me… so i can take some travel and adventure pleeeaseee……..
What an invaluable experience and how lucky you are to be the first woman tourist!! I found your blog very delightful and interesting. Your feelings and thoughts about space touch the hearts of people all over the world. Thank you for sharing the experience with us! Take care. I wish to share in your experience of space, as I have always wanted to be here myself. Reading your text is very nourishing. You are indeed quite fortunate and blessed. Congratulaions! I trully and really wish that every thing on earth would be as effortless as your account of space describes. Well done, and welcome back home. I pray that life on earth would continue as you experienced out there. Now you are back to Earth, relaxed and took rest, therefore time for ‘fun’ and celebrate the success with joy. All your blogging, experience and chatty style inspired lot of people in Space Science. Someone better in Indian Cinema history could chip-in and build on it. Well, I feel someone from Bollywood may compose another Cute , Vivid and ‘fast’ song on “my lip-gloss”, while visualizing your words or expression like ‘.. open the zipper and take one out…/ flying out … Shhhh / Velcro / Lip Gloss / floating not flowing”. Have fun & Enjoy the Change. Dubai (City of Gold, and home of Emirates Airline!). Your story was fascinating. Some day when I grow up I’m going to take a vacation and have training, and float and fly. Like you! Does it embarass you if you make a mistake in front of all of the other astronauts? Good luck on your next space trip! You Go Yashodhan! Comments on this story now closed — come along into the future.